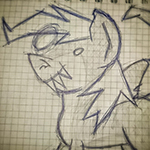 mylittleremix.com • View topic - Dubstep oneshots needed! Board index ‹ Music Production Discussion ‹ Resources, Software, and Mixing Advice ‹ Dubstep oneshots needed! The jazz orchestra im in is doing a concert soon, and we decided to do a crazy dubstep intro to Zambesi. We have a drum pad with I think 9 sensors, so I need 9 samples! I'd do it myself, but with BUCK this weekend and other preparations for the concert I have hardly any time to do it, and the dancers want to reherse on Wednesday!